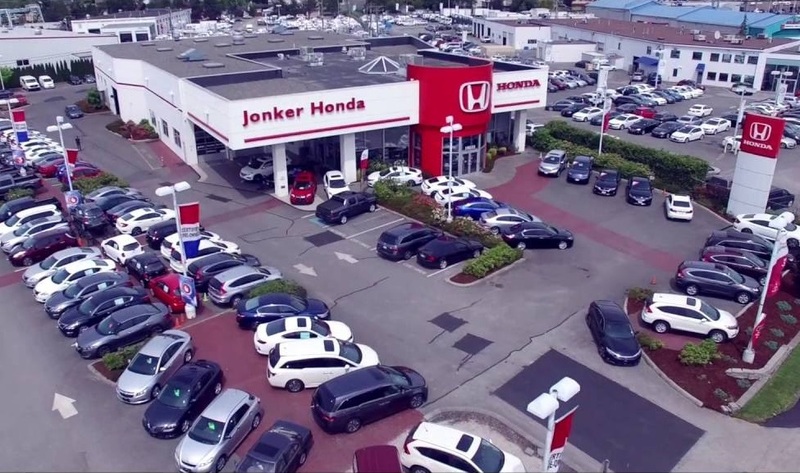 Jonker Honda in Langley, BC is an early sustainability champion among auto dealerships regarding the use of LED technology to greatly reduce their business operations global CO2 emissions. The lighting upgrade will also reward them with decades of significant savings from their facilities operations costs. Jonker Honda hired Metcalfe Lighting to upgrade their obsolete metal halide fixtures with high efficiency Solid State LED on their exterior dealership and metal halide and fluorescent fixtures within their interior showroom, offices & mezzanine & parts department, which will slash power consumption, virtually eliminate maintenance and pay dividends to their dealership’s bottom line for years to come. Jonker Honda in Langley, BC is an early sustainability champion among auto dealerships regarding the use of LED technology to greatly reduce their business operations global CO2 emissions which will also reward them with decades of significant savings from their facilities operations costs. CO2 Emissions Removed = 184.5 Tons *Based on Environmental Protection Agency (EPA) emissions factor assumptions during system operation life. *LED Lighting produces less heat. Workplace Wellness, Increased Productivity, Reduction in Operating Costs & Carbon Emissions. Request a free on-site energy audit and analysis from Metcalfe Lighting and help your business save in energy and operating costs.